What does it mean to you to be a role model for Afro-Ukrainians? I find it inspiring but also immensely challenging. I am conscious of the need to set a good example in everything I do and am very aware of the public’s attention. On the other hand, it is a huge privilege and a source of enormous satisfaction. I have worked very hard to get where I am today, and this role model status is an indication of the recognition I have achieved. There have been lots of sleepless nights and endless training days behind my public success. Life is unforgiving and it is a case of the survival of the fittest, regardless of your profession. I always thank God for my achievements because I am a Christian and take great comfort from my faith. It helps me to remain optimistic and patient in my personal life. 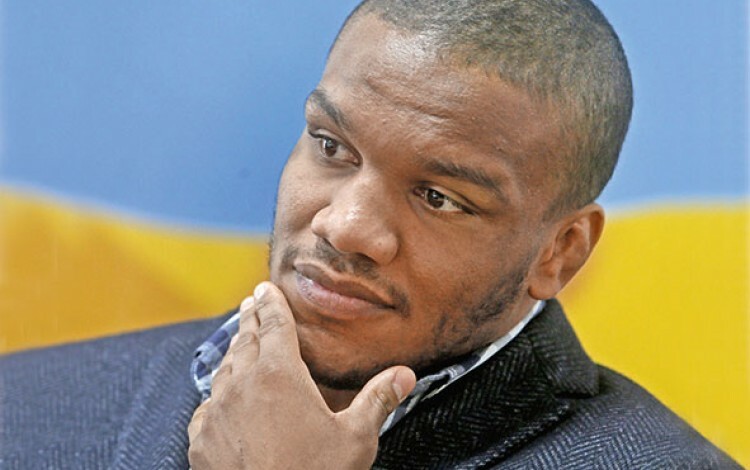 Have you been contacted by many Afro-Ukrainians since becoming an Olympic hero? I have met many Afro-Ukrainians since my Olympic success but not in any official capacity. Afro-Ukrainian friends like singer Gaitana and TV star Gabriella Massanga congratulated me personally. It meant a lot to me to receive their support. Many people believe the Euromaidan Revolution has changed attitudes towards Ukrainian identity. They argue that a sense of civic identity has replaced the old ethnic and linguistic definitions. Do you agree that today’s Ukrainian society is more ready to accept non-Slavic people as Ukrainians? These are historic times and there are definitely greater levels of mutual respect in today’s Ukraine. The broader changes taking place in Ukrainian society have helped to teach people that character and behavior are much more important factors than things like ethnicity. Ukrainians are increasingly recognizing that we are all the same, no matter what our ancestries may be. We all have the same red blood running through our veins. I have always felt Ukraine was fundamentally a tolerant society, and this is even more so following Euromaidan. What was your experience of racism while growing up in 1990s Ukraine? How have attitudes towards race changed since you were a child? During my childhood, I had many bitter encounters with everyday racism. As a mixed race child living in Kyiv, I sometimes experienced both verbal and physical abuse from ignorant people. I refused to let it get me down, and used to tell myself that every society has its fair share of bad people. On the contrary, I drew strength from the idea that I was a child of two worlds. This made me more determined to succeed and helped me to focus on my goals. I have always regarded racists who dehumanize and degrade others because of the color of their skin as messed up and irrational personalities. Ukrainian attitudes towards ethnicity have undergone tremendous changes since those early post-Soviet years. This is partly a result of the more inclusive thinking fostered by pro-democracy events like Euromaidan. It is also thanks to greater exposure to the wider world. In the 1990s, very few Ukrainians had travelled outside the former USSR. Today, millions of Ukrainians have travelled all over the world and experienced a wide range of multicultural societies. This has helped to transform attitudes to ethnicity. 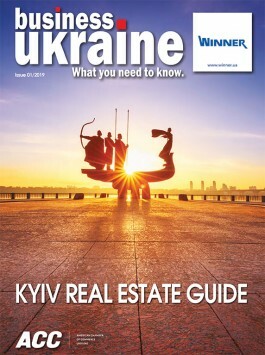 Travelling broadens the mind, and this is very much the case in terms of contemporary Ukraine. Casual racism is no longer quite so acceptable, while international standards of tolerance are increasingly the norm. How big a role did your African ancestry play in your sense of identity when you were growing up? It had a huge influence on my self-image. Looking back, I think it helped me to be physically and mentally strong and conditioned me to cope with the difficulties of life. My childhood was particularly difficult because I grew up without knowing my father (Zhan’s Rwandan father was killed during the Rwandan genocide in the early 1990s – Ed.). The absence of my dad played a big role in shaping my personality because I realized at an early age that I would need to be strong, calm, and patient, taking good care of myself while also building solid relationships with people from all walks of life. Being a member of an ethnic minority community has led to some difficulties but at the same time, it has made me more open to others and given me a balanced view on life. It has also helped me to develop a great sense of humor. You have received numerous financially attractive offers to represent other countries as an international wrestler. What made you decide to remain loyal to Ukraine throughout your wrestling career? I am a Ukrainian patriot, plain and simple. I love my country and am grateful for all the support Ukraine has given me – especially when I first set on my journey to become a successful international wrestler. This country has offered me so much. I feel it is right to play my part in society, joining hands with other well-meaning Ukrainians to build a better country. I have always felt that showing appreciation is a crucial aspect of life. Ukraine is my home and it has played a vital role in my career. It would not be morally acceptable in my eyes to abandon Ukraine at this stage in my career just because the material benefits might be greater elsewhere. At 26 years of age, you are already a veteran in wrestling terms. What are your plans for the future once you retire from competition? I have no immediate plans to retire but this is something every sportsman must contemplate. I expect to continue training for the rest of my life, as I believe this will help guarantee my mental as well as physical wellbeing. I also plan to enroll in English classes to improve my knowledge of the English language and boost my communication skills. English is the global language in today’s world. A certain level of fluency is essential if you are looking to interact with people internationally. I want to join the conversation. You are the first Afro-Ukrainian to represent Ukraine on the global sporting stage. In many Western countries, ethnic minority sports stars have played an important role in breaking down racial barriers in society. Do you hope to play a similar role in Ukraine? I think I am already playing this role, simply by being me. It is something I welcome. I will not turn a blind eye to incidents of racism if I encounter them in Ukrainian society. Racism is a destructive force. My ultimate goal is to help bring peace and progress to Ukrainian society. We need to build a social model that accommodates all Ukrainians, regardless of ethnic or religious background, and recognizes our equal worth. Ukraine’s minorities need to have a sense that they belong.